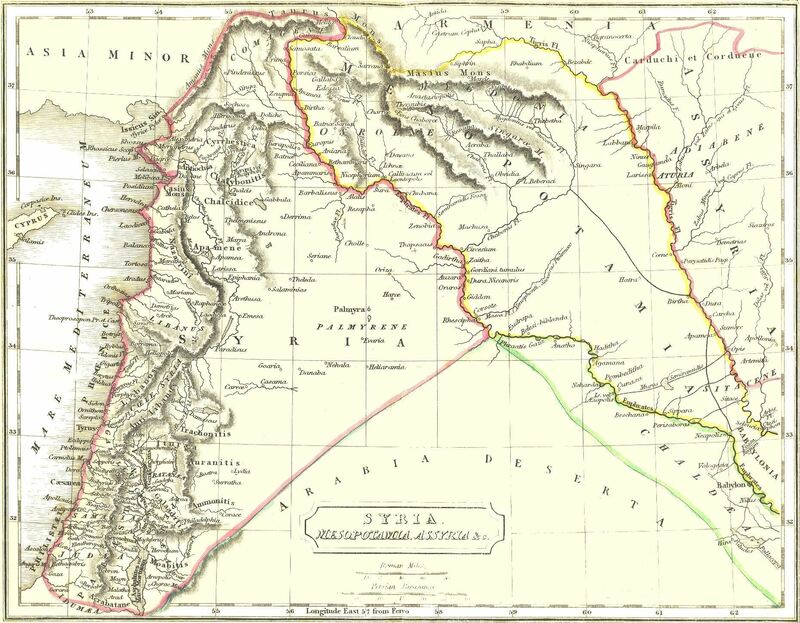 Syria was a maritime region of Asia. It included Phoenicia and Palaestine, and was bounded by Cilicia and Cappadocia to the north, the Euphrates to the east, by Arabia and Egypt to the south, and by the Mediterranean on the west. During Greek times it was governed by a succession of independent kings, most notably the Seleucid successor state, whose capital of Antioch ad Orontem was one of the most magnificent cities of ancient times. It was annexed to the Roman Republic in 64 BC by Pompey the Great in the Third Mithridatic War, following the defeat of Armenian King Tigranes the Great. Ref: Antiochos III, HGC 9, 492.? Reverse: head of elephant left; tripod right, BAΣIΛEΩΣ / ANTIOXOY ? Reverse: Eagle with scepter right; BAΣIΛEΩΣ / ANTIOXOY / EΠIΦANOYΣ, IE / X ? (25) Augustus 27 B.C.-14 A.D.
Obverse: GALLIENVS AVG, radiate, draped and cuirassed bust right. Reverse: MINERVA AVG, Minerva standing right, with spear and shield. Obverse: M•ANT•TER•COS•DES• ITER•ET•TER•III•VIR•R•P•C, bare head right. Reverse: L•BIBVLVS•M•F•PR•DESIG, quinquereme right, with three oars and stern ending in boar's head left. Obverse: laureate head right, coiled snake before; IM.NER.CLAV_CAESAR. Obverse: SALON VALERIANVS NOB CAES. Radiate, draped and cuirassed bust right. Reverse: SPES PVBLICA. Spes standing left, holding hem of skirt and presenting flower to prince, standing right in military attire, holding spear. Ref: Prieur 200, McAlee 659b. Obverse: Laureate, draped and cuirassed bust left. Reverse: Tyche seated left on rocks; to left, another Tyche standing right, holding rudder and cornucopia; to right, emperor standing left, crowning her; below, river-god swimming r.; Δ-E across field; H (denomination) in exergue. (149) Valerian I 254-255 A.D. Reverse: FELICITAS SAECVLI, Diana advancing right, holding torch with two hands. (150) Valerian I 255-256 A.D. Reverse: PIETAS AVGG, Emperors (Valerian and his son Gallienus) sacrificing at altar. (151) Valerian I 255-256 A.D. Reverse: VIRTVS AVGG, Valerian and Gallienus facing each other, holding spears, one holding Victory and the other a globe. (152) Valerian I 253 A.D. Reverse: VOTA ORBIS, two Victories holding shield inscribed S C, palm tree behind.